Given that a staggering 96% of businesses are believed to fail within 10 years of their inception, it’s clear that establishing a successful domestic venture is exceptionally challenging. With this in mind, the notion of taking a business overseas seems even more fanciful, particularly in a strained and enduringly volatile geopolitical climate. We live an age of ecommerce and digital currency, where traditional payment methods are quickly being superseded by more flexible and electronic alternatives. In fact, last year saw debt card payments outstrip cash transactions for the very first time in the UK, with the former increasing by 14% in relation to 2016’s figures. The rate of cash transactions decline by around 15% during the same period, with coins and notes expected to become increasingly moribund in the years ahead. As a result, any businesses that expands overseas must invest in the most accessible and cost-effective payment solutions for their audience, while also paying attention to the latest technological trends. Buying habits also differ in alternative regions, while the major card brands available in the western world may not be as accessible in more remote or far-flung locations. With this in mind, you’ll need to research your market in careful detail before developing your range of payment solutions, while also utilising some form of digital wallet where possible. For product-oriented firms, one of the biggest challenges is ensuring the timely delivery of goods to customers in international markets. 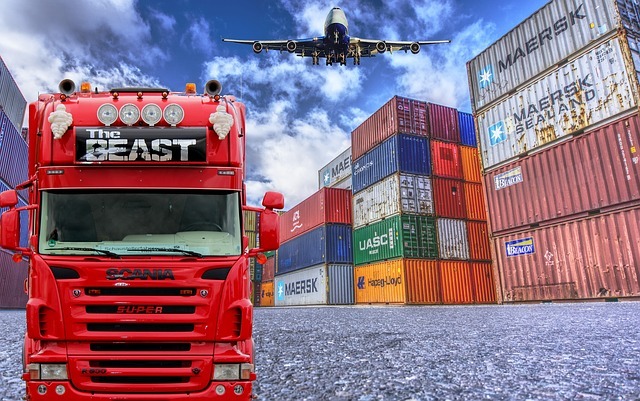 This is reliant on a cost-effective and efficient supply chain, which must include a number of strategic partners that have an international reach. Take independent couriers such as InXpress, for example, who boast a global network and competitive prices. It also operates in partnership with market leading firms in the logistics space, creating far greater efficiency and savings for businesses keen on expanding. From a practical perspective, it’s impossible to successfully penetrate the international marketplace without first understanding your audience in intricate detail. This means forensically exploring individual markets that exist across the globe, paying particular attention to any cultural or linguistic differences that may impact on your marketing campaigns. Make no mistake; even the biggest global corporations have learned this the hard way, with Coca-Cola’s iconic brand name often translating into “Bite the Wax Tadpole” when it was first marketed in China. So, be sure to measure every aspect of your international marketing campaigns when expanding abroad, including the precise translation of your primary, secondary and tertiary messaging. Be sure to avoid any cultural faux pas too, and conduct thorough market research on your audience before developing your global brand.